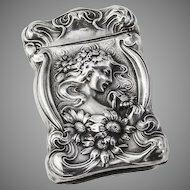 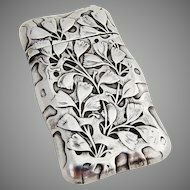 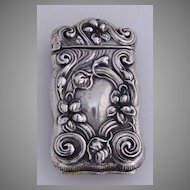 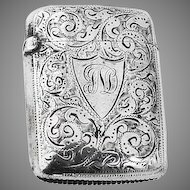 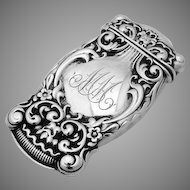 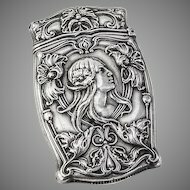 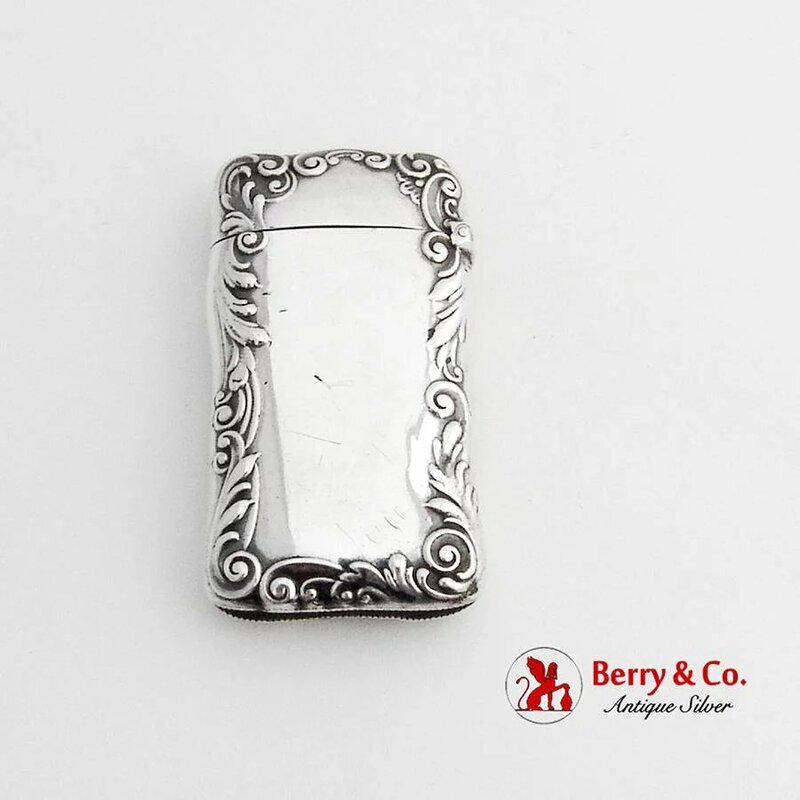 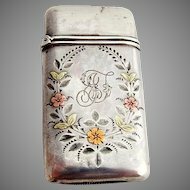 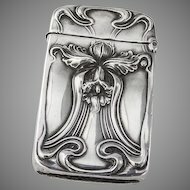 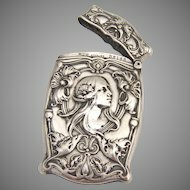 Baroque Floral & Scroll Pattern Ladies' Match Safe Gorham Sterling Silver 1899 Date Mark. 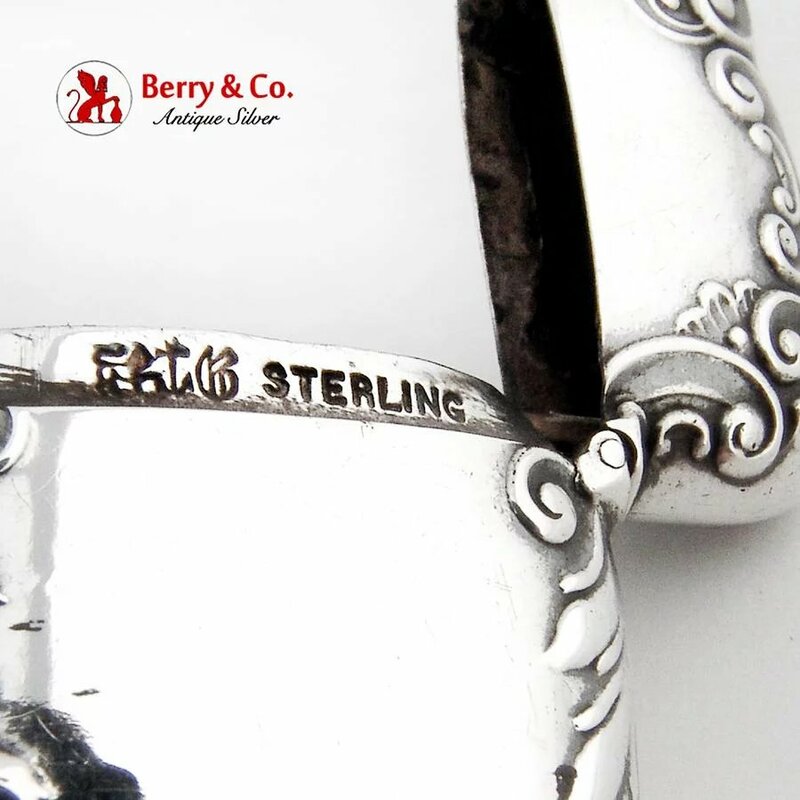 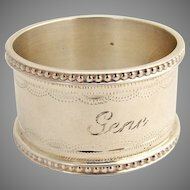 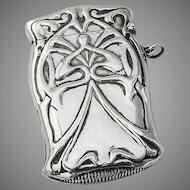 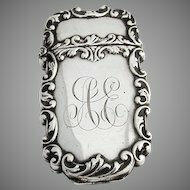 It has engraved monogram "S" on the side. 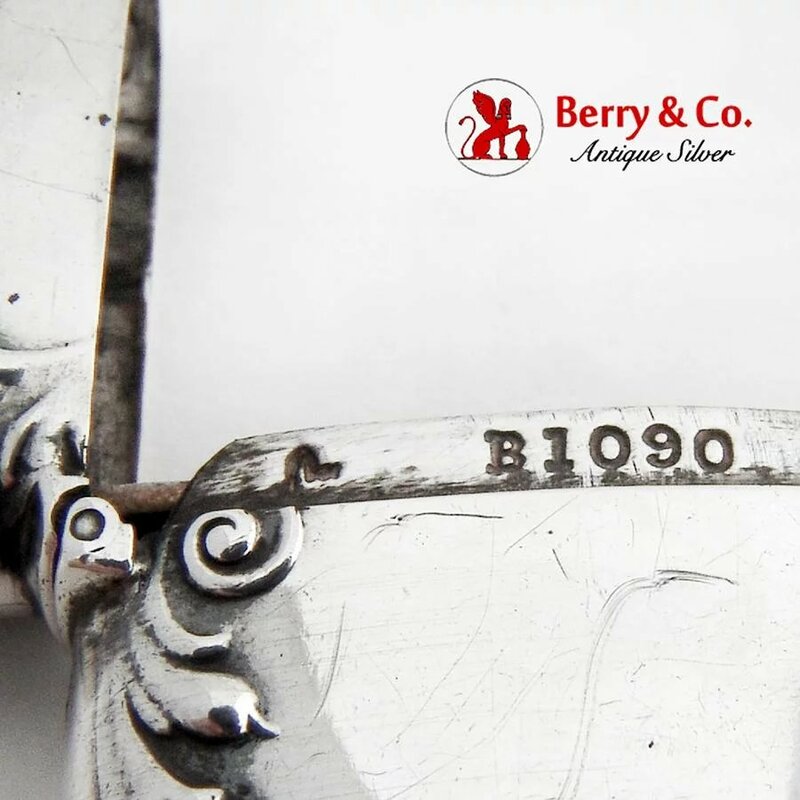 Marked B1090. 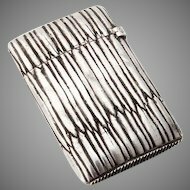 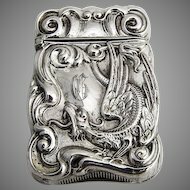 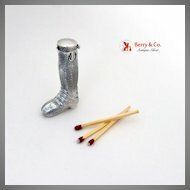 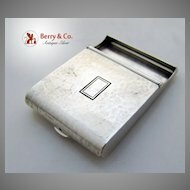 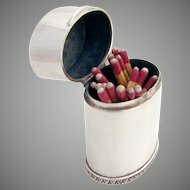 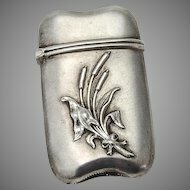 This charming safe is 2 5/16" long, 1 1/4" wide and weighs 19.7 grams.